Sonic: Lost World has been out in Europe and Oceania for a week now. North American gamers will be able to pick either or both of the two differently designed games on Tuesday. For now, Sonic fans can ogle over this TV advertisement for the Wii U and 3DS versions of Sonic: Lost World. Happy Together doesn't make us too interested in Dead Rising 3... It actually makes us want to play the original Super Smash Bros.! Anyway, Dead Rising 3 is SuperPhillip Central's most anticipated Xbox One launch title. We enjoyed the previous entries, and with the added power of Microsoft's new console, we're sure we're going to be wowed. For this Wednesday we have a new review to share. It's for a HD remastering of The Legend of Zelda: The Wind Waker. Available late last month to purchases of the new Wii U bundle, the actual retail version released on October 4. See if it's worth your time with our review. 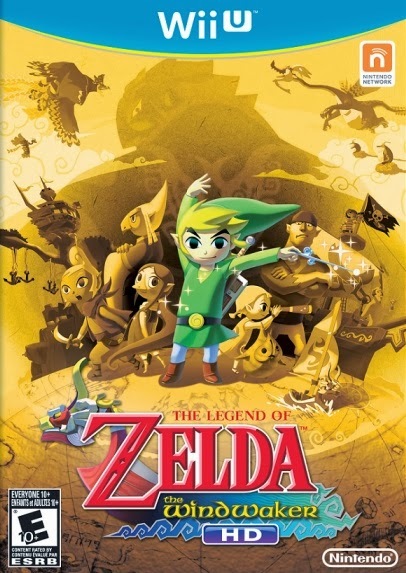 It was over ten years ago that The Legend of Zelda: The Wind Waker made its debut on the Nintendo GameCube. Though widely regarded now, the art style of the game did not have such a welcome reception when it was originally revealed. 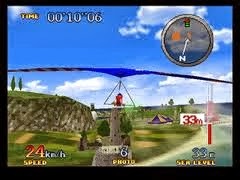 At a Space World event (a Japanese Nintendo showcase event that used to occur) in 2000, a coming out party for the GameCube, Nintendo revealed a tech demo that featured a more realistic style with Link and Ganondorf exchanging swipes of their swords. When the new "Celda" look appeared, many were disappointed. However, that was over a decade ago, and as stated, The Wind Waker and its art style are almost universally loved by the Zelda fan base. 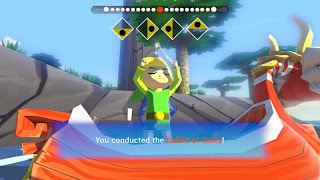 Choosing this game as the best one to try out high-definition game development, Eiji Aonuma's Zelda team has created a new iteration of The Wind Waker for Wii U owners. Do the new changes and improved visuals make for compelling reasons to return to the Great Sea all over again? 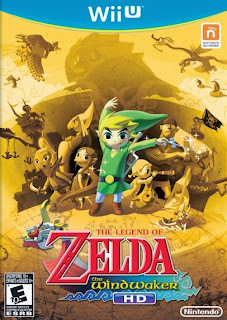 The story of The Legend of Zelda: The Wind Waker HD takes place many centuries after the events of The Legend of Zelda: Ocarina of Time. Legend tells of an ancient evil that once plagued a kingdom. The evil was known as Ganon. 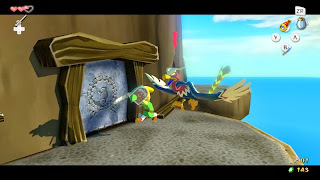 One day while celebrating his birthday, Link gets an undesired present by a giant bird who scoops his sister up and takes her away to a place called the Forsaken Fortress. Going along with a group of pirates, led by a female named Tetra, Link heads to the fortress to rescue his sister. However, this plan goes awry and Link is tossed away like an unwanted letter from the post office. When he awakes, he is aboard a red ship that calls itself the King of Red Lions. He tells Link that if he wants to save his sister, he will have to collect three pendants from across the Great Sea. Thus, Link's true quest officially begins. some suntanning on Outset Island. 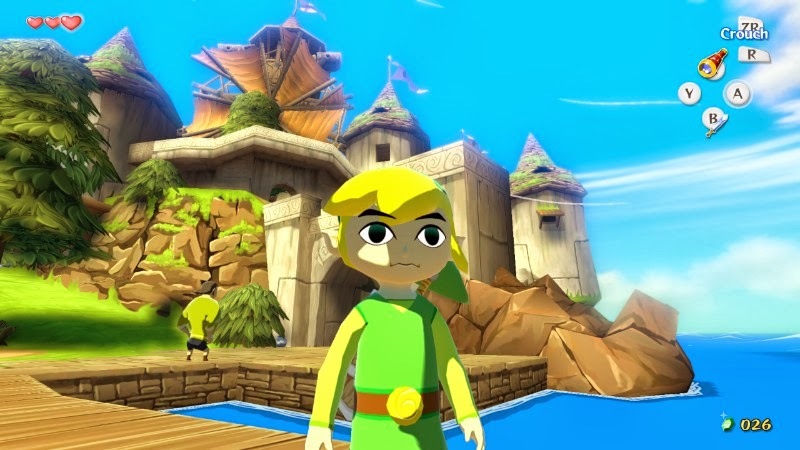 For a game without any traditional voice work, The Legend of Zelda: The Wind Waker HD can surely display a broad range of drama to scenes and emotions to the player. That moment on Outset Island, the opening island of the game, where Link, standing on Tetra's ship as they head out for Forsaken Fortress, solemnly waves goodbye to the people he's spent his whole life, is one that resonated with me as a player of the game. Additionally, there's a bunch of really cool moments that will excite Zelda fans, especially those who have enjoyed A Link to the Past and Ocarina of Time. be stuffed just in time for Thanksgiving! 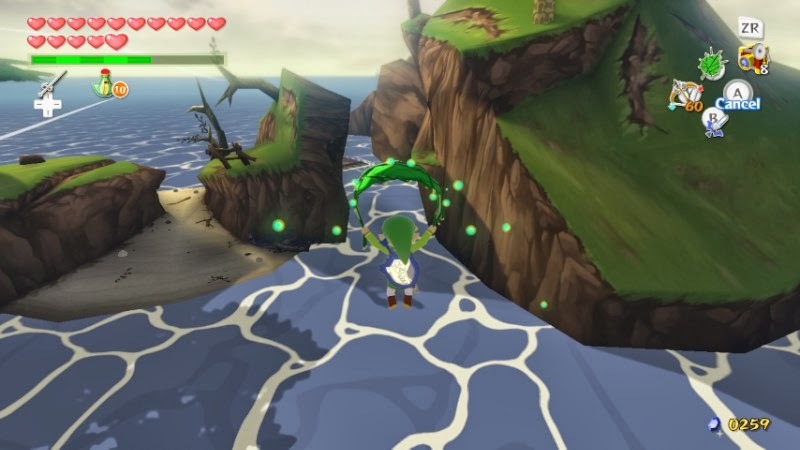 The game world of The Wind Waker HD takes place on the Great Sea on a 7 x 7 map. Each space on the grid houses its own unique island-- some large, some small, some in between. While exploring the Great Sea for goodies and treasure is completely optional, it's a fantastic amount of fun to come across an uncharted island, not knowing what is in store for you, what treasures await, and what challenges you may have to overcome. I fervently sailed across the massive ocean in search of hidden heart pieces and new treasure charts that revealed locations of sunken booty to plunder. 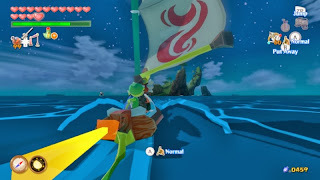 On the subject of sailing the humongous Great Sea, an issue in the 2003 original version of The Wind Waker was that sailing was much too slow. Each time you wanted to change direction and have a chance of going anywhere near satisfactory speed (and still that was too slow), you also had to change the direction the wind blew. This was done by using the titular Wind Waker to choose a direction for the wind to gust in. Starting off in this HD remastering for Wii U, you still have this issue at the beginning of the game, but once you reach Windfall Island, you can go about earning the Swift Sail, doubling the speed at which the King of the Red Lions travels, regardless of wind direction. the open seas. Use the Swift Sail! 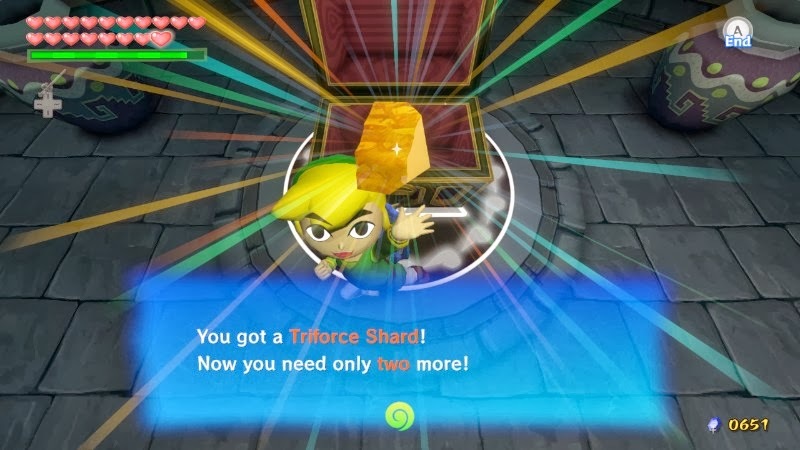 By far the most welcome change from the original Wind Waker is how the end game Triforce quest is handled. In the GameCube version, players needed to find eight Triforce charts and make them readable through talking to Tingle. Not only was this a tedious thing to do, sailing back and forth between islands, but it was also a crunch on the wallet, costing Link 398 rupees each time Tingle made a chart readable. These Triforce charts would then show the location of one of the eight Triforce shards submerged underwater, needing the King of Red Lions to salvage the chests they lay in. In this Wii U version, there are only three Triforce charts to find, go to Tingle Island, pay to have them made readable, go to their submerged locations and salvage them. The other Triforce shards simply take place of the latter five Triforce charts. This cuts down on the tedium and time it takes to finish this quest, which in the GameCube original made the pace of the game drop like a twenty ton rock in the Great Sea. after this with the Boston Philharmonic! Lastly, there is the addition of Tingle Bottles. These are found all along the Great Sea and wash up on beaches across the many islands of the game. Finding these and then opening up the Bottles page of the pause/inventory screen shows Miiverse messages and screenshots from other players. You can drop your own messages into the sea as well to help out other players. It's a cool addition that certainly helps for doing the absolutely most demanding side quest within the game. Despite these new changes, the basic essentials of the Zelda franchise are still here. You still chat with locals, you still participate in side quests for pieces of heart or other treasures, if you so wish, you still obtain new items for your arsenal and keys to progress onward through going into puzzle and enemy-filled dungeons, and you still take out the boss lingering in the furthest depths of said dungeons. But despite all of this sameness, the formula still works and it's still a blast to play. It is a formula that has withstood the test of time. That said, traveling the Great Sea does add a fresh component into the mix. 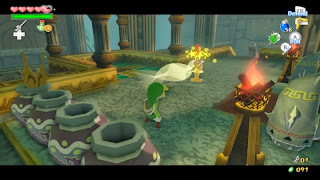 Items are a big part of the Legend of Zelda franchise, and The Wind Waker does not disappoint in this regard. No longer do you have to pause the game to switch items. Instead, you can simply select items and assign them to the X, Y, or R buttons with a swipe of the finger while still in the game. You can also access maps this way, too, uninterrupted from the gameplay. Link's trusty hookshot is always a delight! 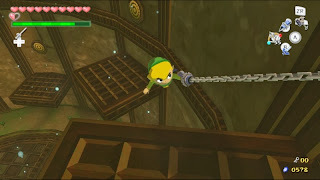 Link will have an arsenal of tools to help him by the end of the game, including the helpful grappling hook, used to swing across chasms; the boomerang, which can be locked onto up to five targets at once. The order at which you target them is the order the boomerang hits them; there's the old standby, the bow and arrows, allowing three different elemental shots to be used; and many more. while using the Deku Leaf. Dungeons are generally where the majority of new items will be received. While there aren't nearly as many as in Ocarina of Time or Twilight Princess, what few dungeons The Wind Waker HD possesses are really well done, requiring the player to not only be nimble with their fingers in battle, but also requiring deep thought for the various puzzles. 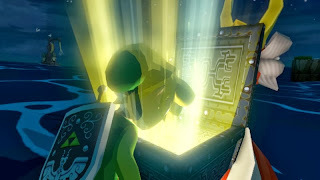 One such puzzle required me as Link to push and pull statues that held mirrors. When they're all in the proper position, they will reflect a beam of sunlight off of their mirrored shields. I then needed to hold my own shield up to reflect the sunlight into a special symbol to open the way. 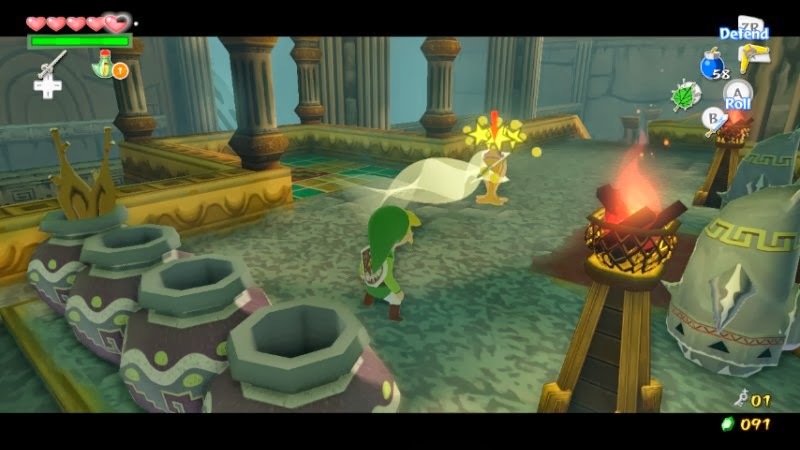 Multiple dungeons allow you to take control of statues or even other living things through using the Wind Waker baton to play a song. While this is a very cool feature and opened up a slew of puzzle possibilities, you have to conduct the song with the baton so many times that I wish there was simply an item that allowed Link to commandeer an able body to control. It would have been less time-consuming that way. Inside each dungeon awaits a boss that guards what Link most desires. These fights follow the golden rule of Zelda boss battles: If you get an item within a dungeon, you probably need to use it to defeat that boss. This rings especially true for the bosses of The Wind Waker HD. 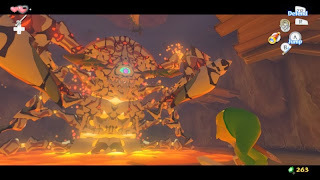 The first boss, for instance, Gohma, requires Link to use the dungeon's treasure, the grappling hook, to latch onto a grapple point above the boss and swing to the other side of the lava pool the boss rests in. The ceiling above will then cave down, crushing the boss, shattering some of its armor. I see you have your eye on Link, Gohma. Outside of boss battles, normal combat is some of the most exciting the Zelda series has even seen-- well, at least the 3D Zelda games. 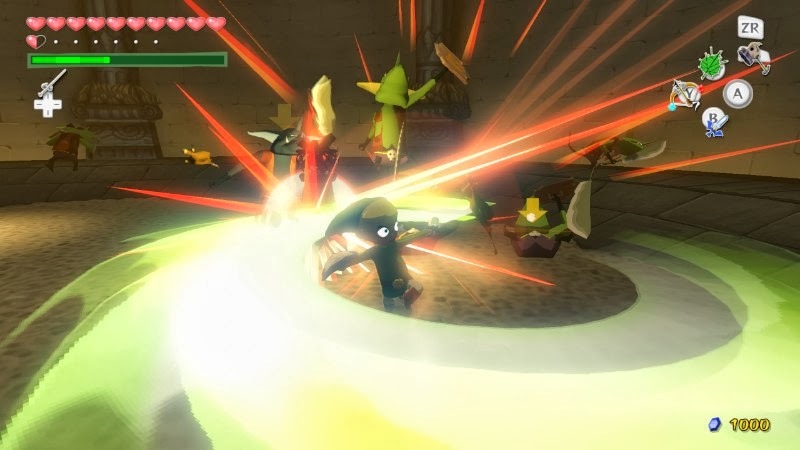 Using Ocarina of Time's Z-targeting control scheme as the foundation, The Wind Waker HD allows Link to lock onto a nearby target, thus being able to have his focus squarely on that enemy. Some foes when they attack allow the player to hit the A button when prompted to perform a counterattack. For example, Darknut soldiers have impenetrable armor. However, if Link counters one of their attacks, he nimbly gets around the foe, slicing its exposed back. Some enemies also drop weapons, which can be used against them and their various cohorts. This is actually necessary for some puzzles. games. If ain't broke, don't fix it, right? 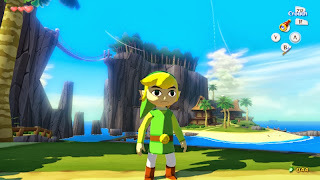 The Legend of Zelda: The Wind Waker HD is a meaty game, pending you do all of the optional tasks within the game. For me, my first play-through lasted me over 30 hours. However, I did get all of the pieces of heart, items, and treasure charts. If you want to complete a certain side quest (the one I alluded to when talking about Tingle Bottles), you will need to play through the game at least twice to fulfill the requirements. Link takes his new move out for a spin. 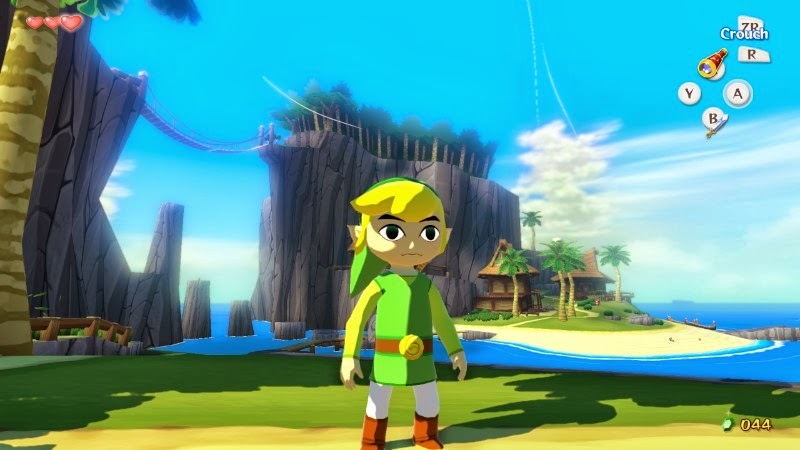 If there was ever a game that looked timeless, The Legend of Zelda: The Wind Waker was one of those. Now that it has been remastered in high-definition, the game somehow looks even better. 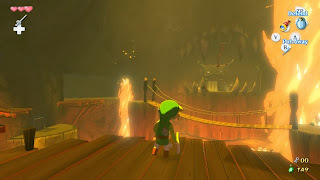 From the bloom that makes the tropical areas of the game seem so warm and inviting, to the special effects, such as the torches that lighten dark caverns, The Legend of Zelda: The Wind Waker HD looks superb and sometimes simply jaw-dropping. It's not perfect, however, as there is some pop-up on the Great Sea, mostly with regards to pirate platforms popping up in the distance like magic. There's also slowdown, but this only occurred in reef areas, where many enemy ships and cannons were firing at poor Link. The music has been subtly retouched as well, offering better instrumentation (though still synth) that is pleasing to the ears. The Wind Waker HD is. The Legend of Zelda: The Wind Waker HD is without a doubt worth a purchase, even for those who have played the GameCube original to death. There is just enough changed that makes this Wii U HD remaster worth the rupees. What Nintendo has done is created a game that is less tedious, less maddening, more engaging, more pleasant to gaze upon, and more entertaining than what can be found on the GameCube. When Super Mario 3D World was revealed at the top of Nintendo's E3 Direct video, many were like, "meh." When the second trailer came out, many were like, "holy crap. Why didn't you show THIS at E3?!" Now that this new trailer is out, many are like, "humina, humina, humina. Insert this into my veins." We agree with this overwhelmingly positive attitude towards Super Mario 3D World, and this trailer shows off a huge amount of content within the game. We're about twenty minutes away from midnight where we are in North America. However, a typical Monday CAN'T go by without us delving into our exhaustive list of favorite VGM picks. No, no! That's why we have five new pieces to cap off your Monday. Did you have a nice day? We hope so. If not, may these tunes put you in a better mood! 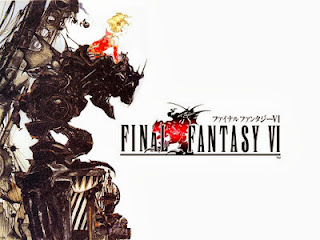 This week's edition features music from Final Fantasy VI, Pandora's Tower and Xenoblade Chronicles. One of our favorite RPG town themes ever composed, Nobuo Uematsu gives us this warm, folksy theme that exudes nostalgic memories. We remember venturing through South Figaro, chatting with the locals, before heading out into the dangerous world, taking on enemies of all shapes and sizes. We enjoyed unwrapping our Nintendo 64's on Christmas 1996, and receiving Super Mario 64 and this game, Pilotwings 64. What's really cool is that in this video's comment section (and you know how rarely we have something positive to say about YouTube comment sections! ), the top rated comment is actually from the composer of the N64 launch title. We appreciate your work, too, good sir! Our PAL friends enjoyed Pandora's Tower much more than our review states. 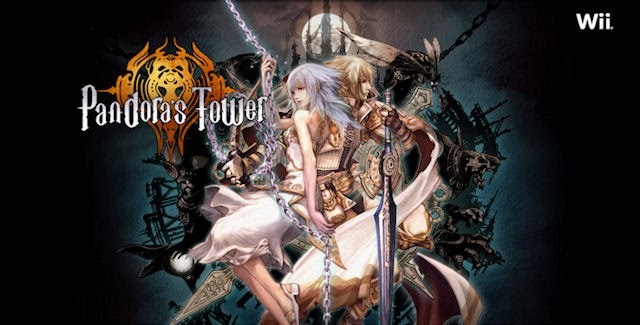 You see, the North American version of the game suffered from a rather breaking glitch that froze the game each time the player tried to go to the penultimate towers. It was a rather sour note on a game that, up until that point, was rather sweet. The marshland that this song plays in is absolutely beautiful at night. You feel like you're in a fairy tale. 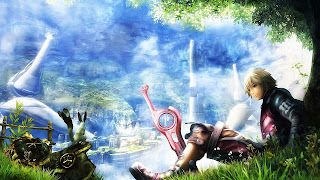 This theme that plays in it, with its soothing piano and warm choir, delivers a pitch perfect ambiance for this relatively taxing area of Xenoblade Chronicles. While it's too soon to bust out the snowboards in our neck of the woods, it isn't too early to do so in a virtual fashion. 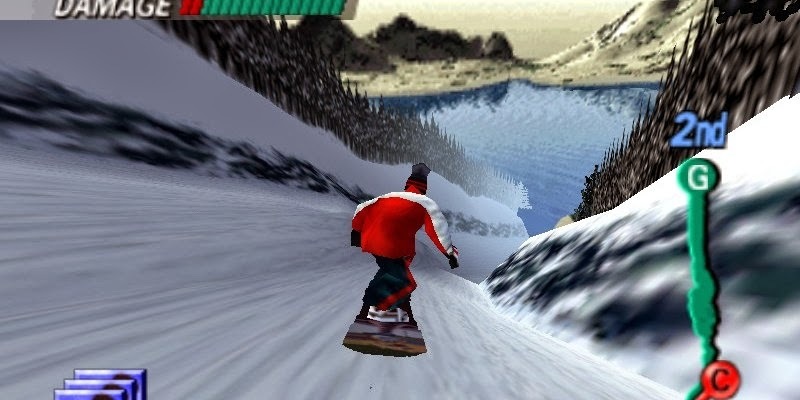 1080 Snowboarding is one of Nintendo's series that we would love to see return to either of the company's current systems, the 3DS or the Wii U. That, along with Wave Race, of course!